Kemang has a lot of homie-look-alike restaurant which offers a lot of good food, either Boka Buka. From the outside, this place looks just like a house building, if there is no board menu outside I wont ever think this place as a restaurant. I suggest you to come with your best person or gebetan, because they really have a romantic and quiet ambience here at night, thanks for their dim light and some candles around the room. 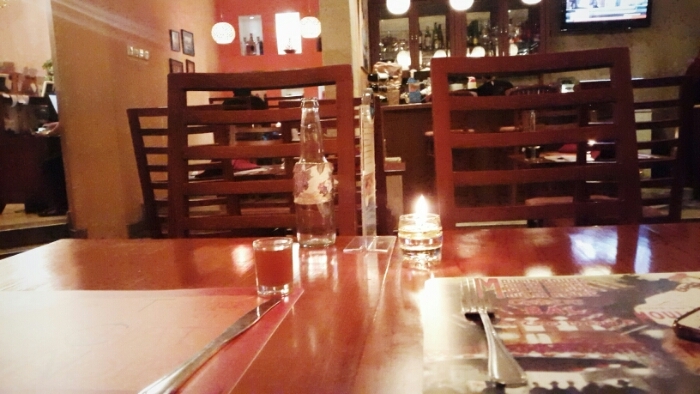 Plus, at the time I came here they dont have many visitors, so it feels like I am having a private dinner huhu. The waitress and waiter here are also very friendly. 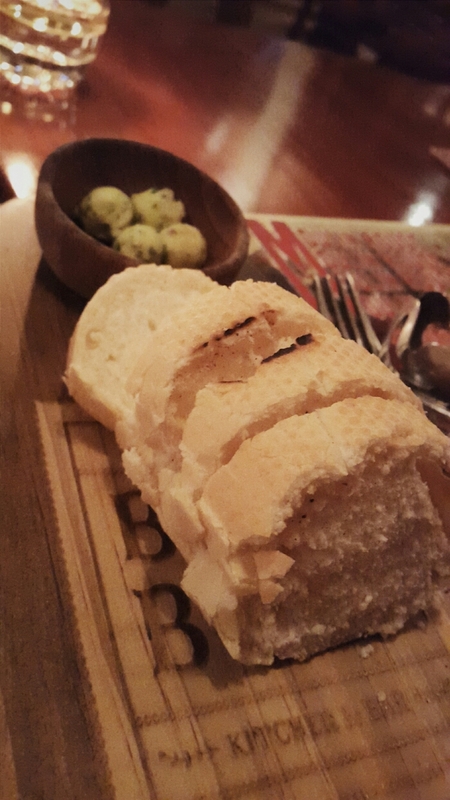 They were given us a cinnamon tea and baked garlic bread as a welcome drink and food. Main Course, Escargout de Bourgogne! 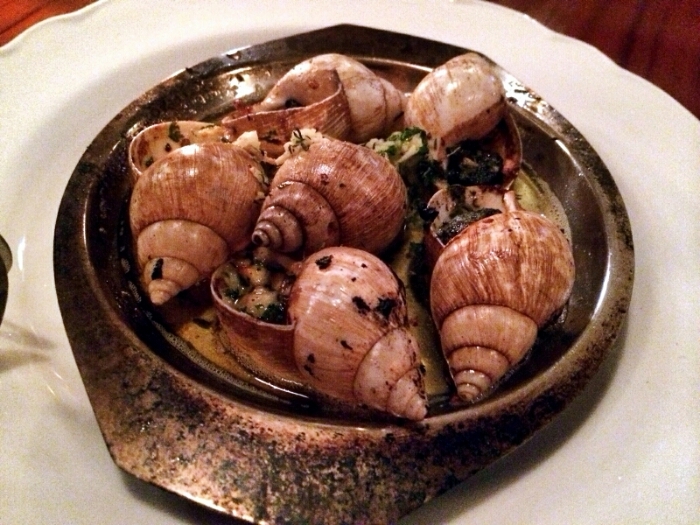 >> Escargouts De Bourgogne half dozen (IDR 62,000). Here it is, the famous menu of Boka Buka! At first I got too much laugh from this menu, thanks to my fool boyfriend. Seriously, is it a snail? ABSOLUTELY IT IS. They baked with parsley and garlic butter, and you will never feel regret for trying this one. Mamamia lezatos. They will borrow you special tool to help you eat this escargouts. Never say you ever come to Boka Buka if you dont try this special menu, ehe. >> Boka Buka Salad (price around 46k). 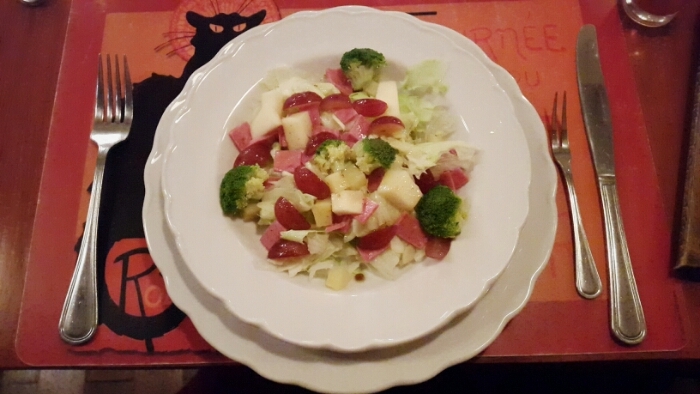 Contains with smoked beef, grapes, apples, potatoes, lettuces and onions with honey and vinegar. I cant taste its honey actually, and I forget to ask the waitress to less its raw onions. Huft, my fault. But overall, the taste is quiet good. 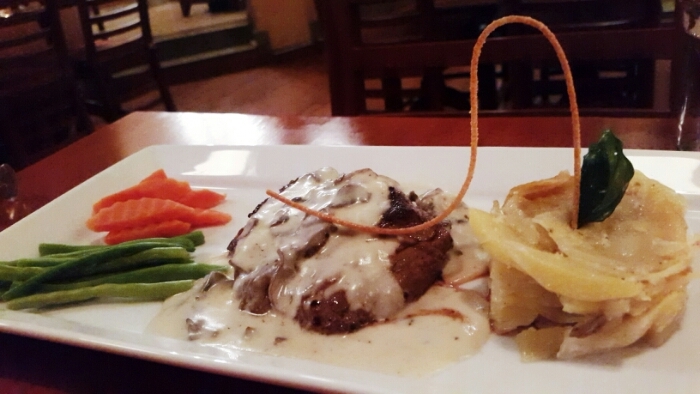 >> Beef fillet (price around 100k). A tenderloin part with potato grain. My bf wants it to be medium, so it is. I dont know the dressing of its meat, but somehow I taste it a bit like barbeque one. Lol. I love the potato! It contains some cheese, and its composition with the potato seems perfect for me. 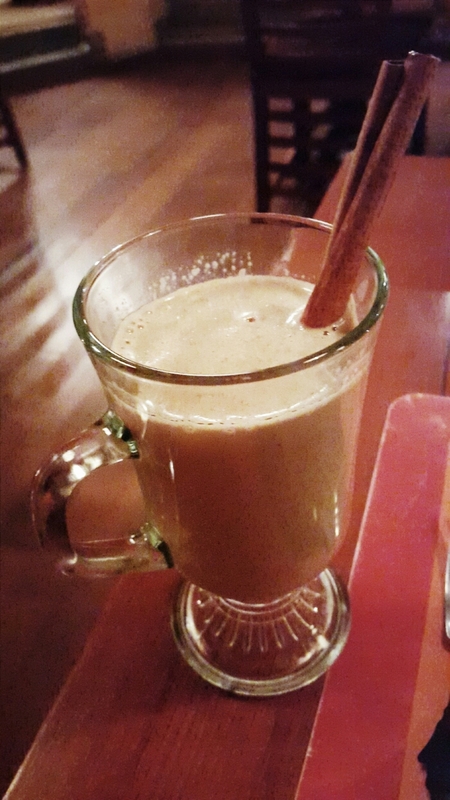 >> Butter beer latte (around 29k). No alcohol inside, trust me (lol it is like I am the chef ohmaigawd). The cinnamon is quiet strong here, while I feel lost for the buttermilk. Do they give some honey as the sugar here? I dont know exactly, but it tastes yummy. Bellissimo! Since I found a new and delicious food here, I am feeling pretty happy to think more to get back here. In short: Gotta come back to have their escargouts more!